Health care costs are continuing to grow, and it’s increasingly alarming policymakers. Federal Reserve Chair Jerome Powell has repeatedly called out health care spending as the primary issue with the ballooning U.S. debt. He did so again while testifying to Congress on Tuesday. 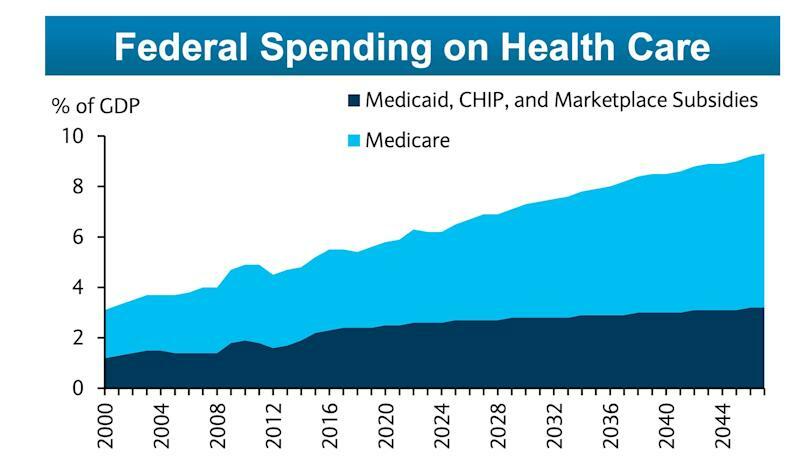 U.S. health care spending grew 3.9% in 2017, reaching $3.5 trillion or $10,739 per person, according to the Centers for Medicaid and Medicare Services (CMS). That accounts for about 17.9% of the nation’s GDP. "We need to stabilize debt to GDP,” Powell noted. Compared to 10 other high-income countries (U.K., Canada, Germany, Australia, Japan, Sweden, France, the Netherlands, Switzerland, and Denmark), the U.S. spends nearly twice the amount on health care. 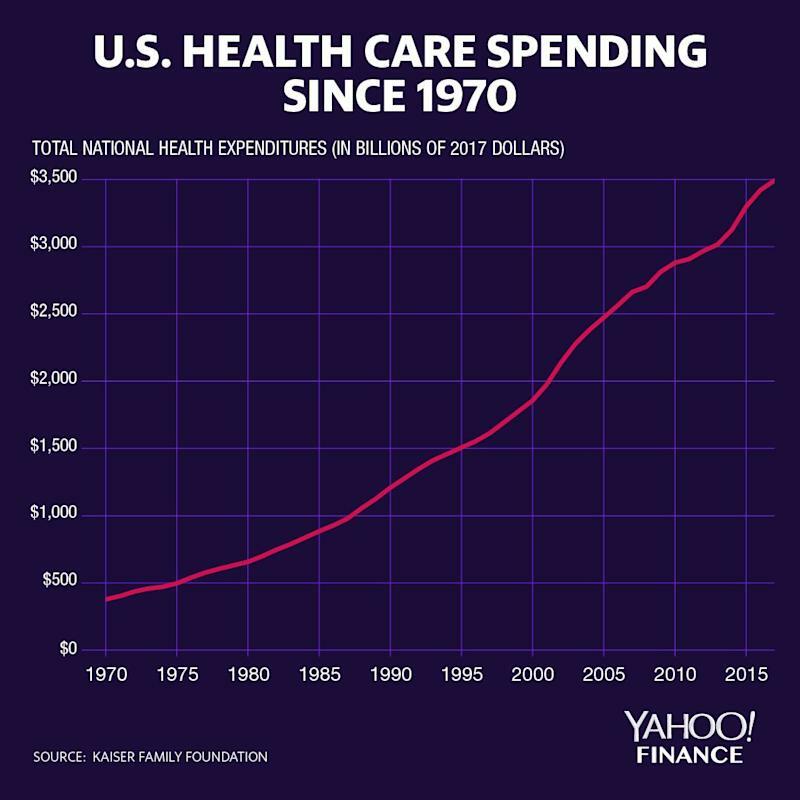 Over the last 40 years, health care spending has increased over 30-fold on a per capita basis, according to the Peterson-Kaiser Health System Tracker. In 1970, it was $355 per person and skyrocketed to $10,739 in 2017. Adjusted for inflation, the increase was nearly 6-fold. Claxton also echoed Powell’s sentiment about inefficiency. In 2017, the average person spent $185 on out-of-pocket physician services and $104 on hospital expenses. 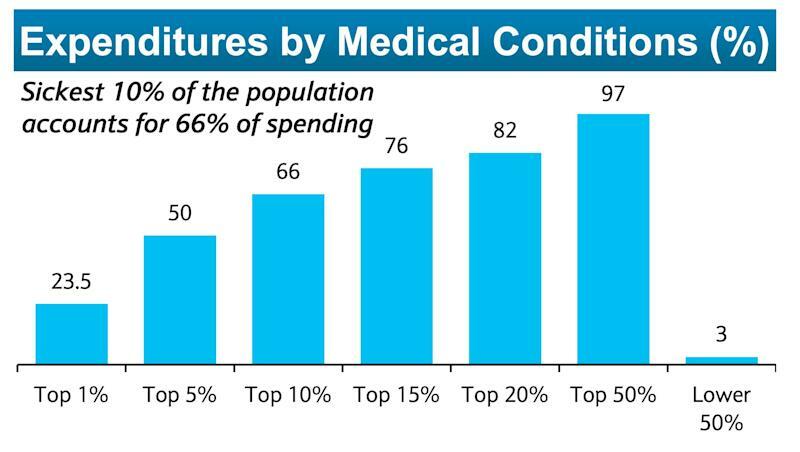 Adding to the pressure, the following Barclays chart citing data from the Congressional Budget Office and the Kaiser Family Foundation shows that the sickest 10% of Americans account for 66% of health care spending. “Nearly half of Americans incur essentially zero costs in a given year, while an unlucky few have staggering costs,” Josh Bivens, director of research at the Economic Policy Institute, told Yahoo Finance. Obamacare was revolutionary for women's health. The progress is now in danger.